Writing is one of those things that feels extremely intimidating to people of all levels of education, experience, and interest. The fact is, most people struggle with writing, even if they write everyday. When you are blogging as part of a marketing strategy, you need to find your voice. That can feel daunting, but it’s definitely not impossible. Figure Out Your Audience. The first step in discovering your voice requires knowing who you are talking to. How you approach a group of crafty women and moms may be very different than how you approach financial planners. Every niche group of people has their own vernacular as well. You have to know their lingo and tone. Observe The Current Voices Out There. One of the best things you can do is observe. Observe your industry to see who the main players in blogging. Who is talking and blogging in your industry and what are they saying? What is their tone? What is their following like and how is that audience responding to that voice? When you know what kinds of voices you are competing with, you can tailor your own voice accordingly. You may want to be completely different, or you may want to be similar to others. However, unless you do the work to observe your peers, you won’t know what your industry wants or resonates with. Be Helpful, Relevant, & Authentic. People love content because it is helpful to them in some way. You may be teaching them something new that they want to learn or are helping solve a problem that they have. Think of the most commonly asked questions you get from your customers or clients and frame those into potential topics. The more helpful you are to your audience, the more likely they will stick with you. Then, when they need your services, you are already their #1 source, hands down! Niche Your Voice. You’ll notice when you look that there are few voices out there in specific niches and therefore, there are more opportunities to rise to the top of that niche. Some business models work great to be a generalist, but more often than not, it works well to niche your business. 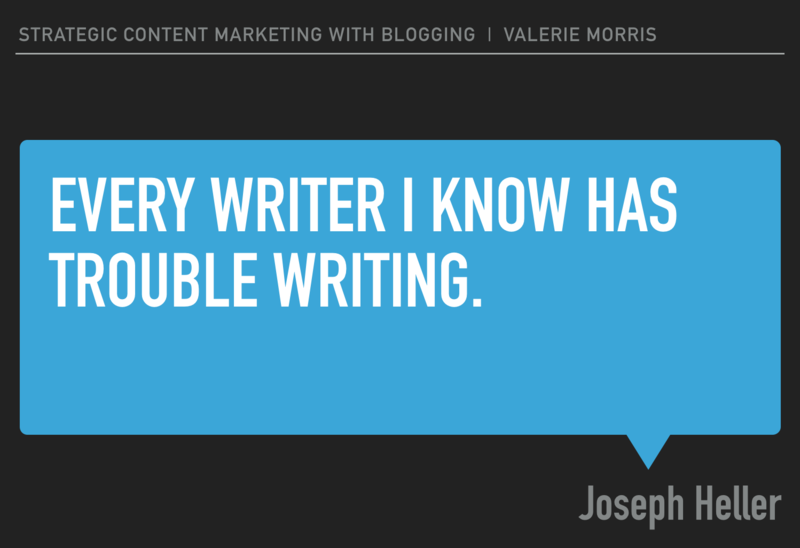 When you do so, you need to tailor your blogging and content strategy to help those within that niche specifically. It actually helps you to niche your voice, because you have a clear audience, tone, and set of pain points that you can speak to. Just Start. This is perhaps the best advice I can give to someone wanting to be successful with blogging. You just have to start. You won’t know your voice right away, and let’s be honest, your voice WILL change and evolve over time anyway. Give yourself grace to start somewhere and be willing to get better. The more you write, the easier it gets. I absolutely promise! And as you start blogging, you will discover new perspectives and strategies that make it easier for you to keep blogging. Kim Garst advises to think about “how you want your customers to perceive you through your writing? Fun and casual? Professional and authoritative?” Learning the answers to these questions can help you learn your tone and voice faster! Content marketing relies heavily on the fact that you know your voice, and that involves how people perceive you, and what you want your message to be. 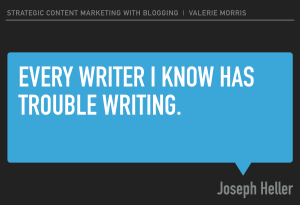 You will find that discovering your voice in blogging and content marketing is constantly changing. It makes sense when you realize that the world around us is changing at lighting speeds! What do YOU want to say to the world…and are you willing to put YOUR voice out there?! *This blog was inspired by a presentation originally created for Professor Denny McCorkle’s Social Media Marketing Class at University of Northern Colorado.